PLEASE NOTE: All items that are for sale will be clearly marked, and when no longer available will be marked as SOLD. 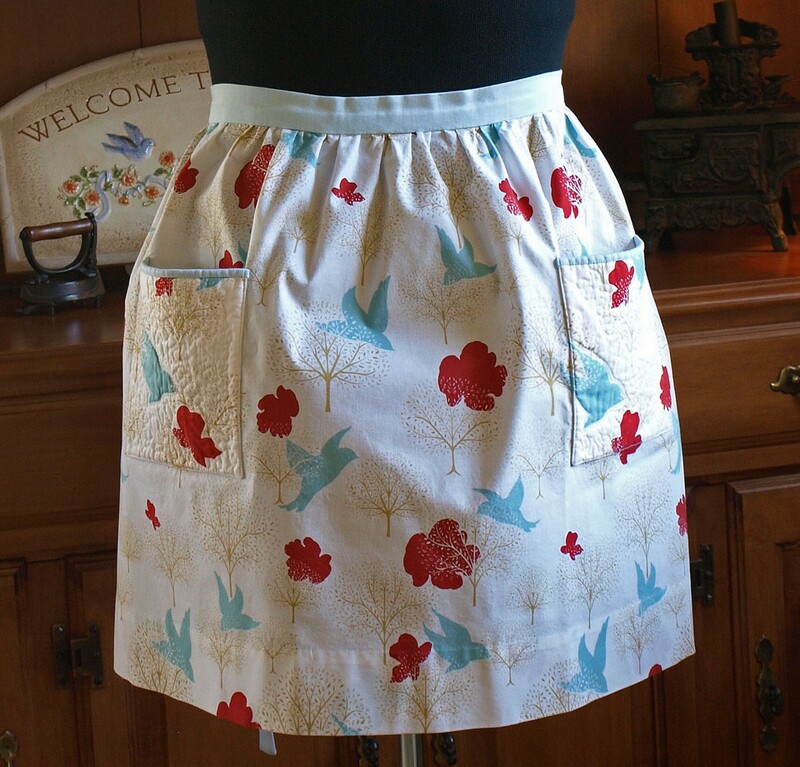 Bound pockets are lined, quilted, and were fussy cut to match the skirt print exactly. 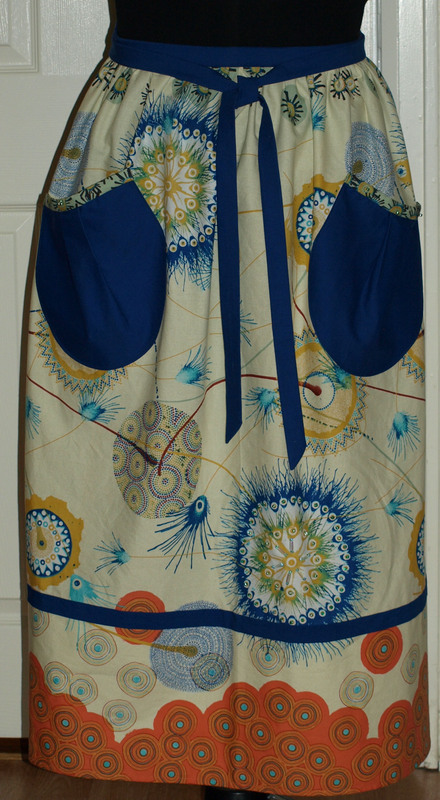 One padded and lined pocket with blanket stitched detail. 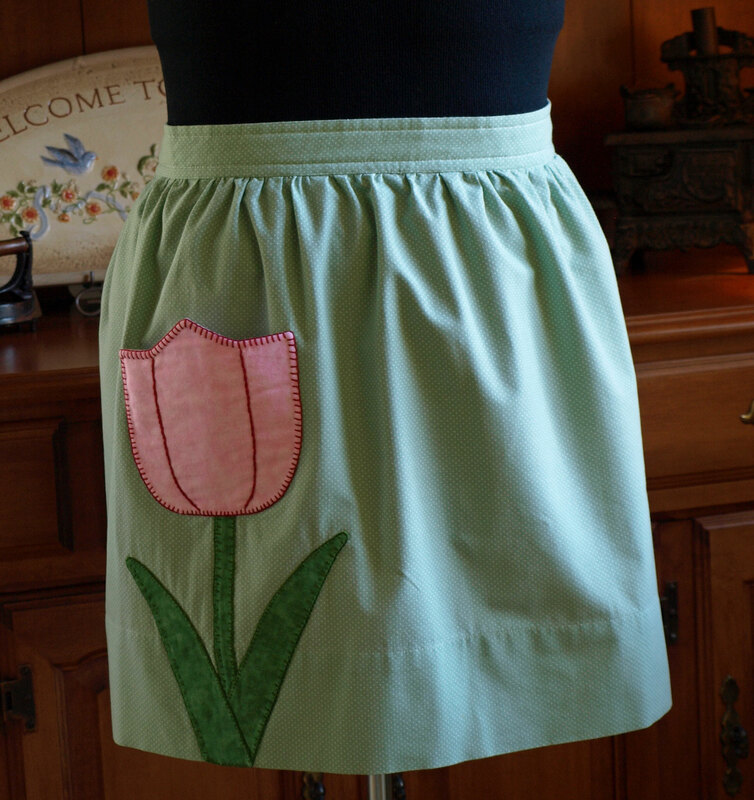 Pocket and stem are appliqued onto skirt. 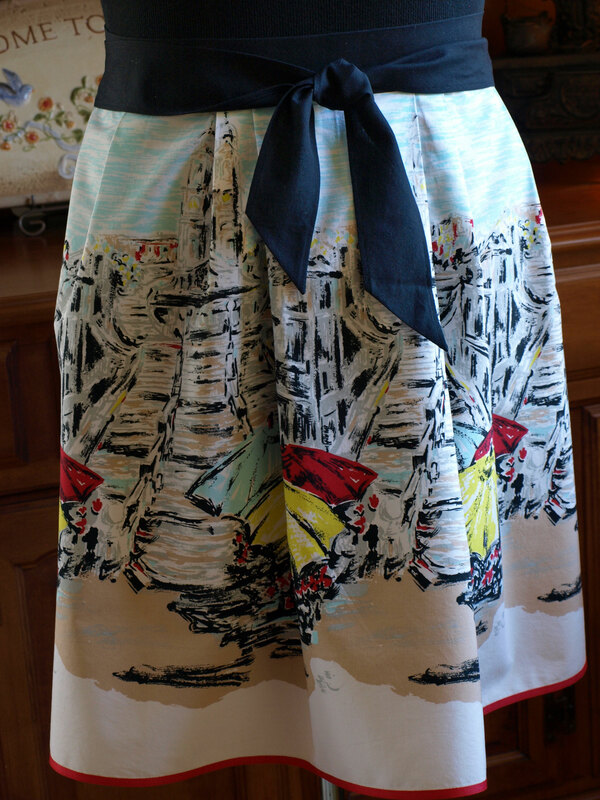 recycled from a favorite Nordstrom’s skirt! Grossman ribbon detail at hemline. Hand and machine sewn with vintage linen detail and carved shell buttons on the pockets. SOLD. Thank you, Adinparadise! I took a peek at your blog and I wanted to tell you I love your kitchen renovations! (I secretly covet your sink). Have a safe journey to England and then home! 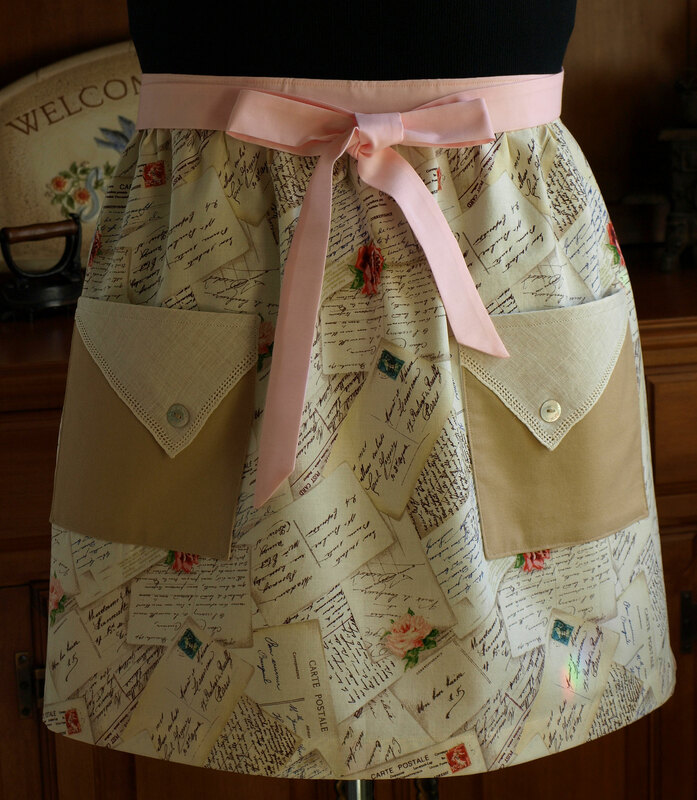 It is a beautiful apron, always remember my mother wearing them and they are so handy- I do have a couple. 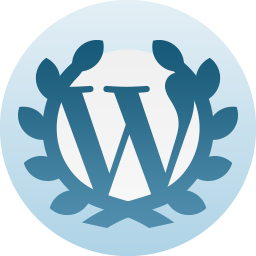 I read Julie’s blogs and think this is such a warm gesture for you to gift her with this. Julie is such a special friend. It was easy to do this for her. Thank you, Jane! I love aprons. I sorted patterns recently and see that I have collected 8 apron patterns. Must get busy.